Yes, it’s obvious that they could get a job. But for those kids aren’t old enough to get any form of employment, what can we do to keep them occupied? It’s a very difficult one because we should teach them the value of earning an honest wage. But if they’re not old enough to go and work in a supermarket or they don’t have the skills to get a job just yet the one true solution is to teach them at home. We can find some ways to structure a working day for them, not just through mundane tasks or chores, but we could find something to motivate them to get outside. Gardening is a good example because they can see the fruits of their labor, get some exercise, and it’s an activity that has been proven to have a positive effect on mental health. 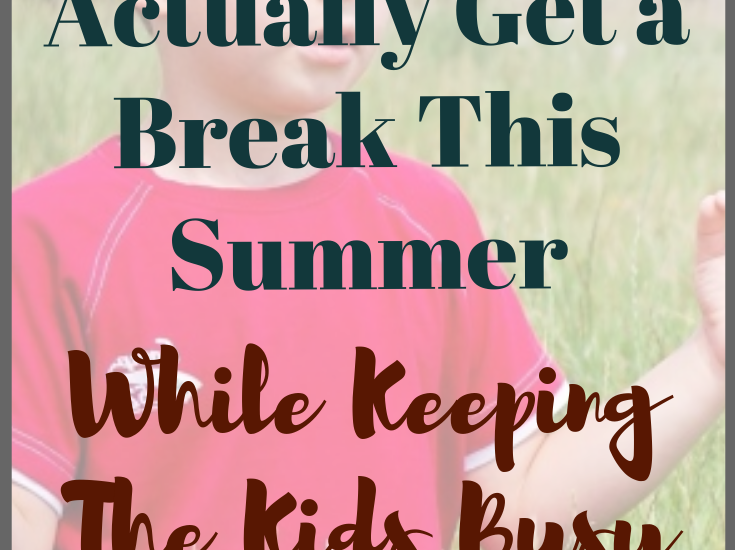 If you don’t want your children staying indoors throughout the summer watching television, get them into some good working habits that will benefit them. You can get some inspiration from sites like https://www.americasfinestsummercamps.com/ to see what is in your budget, but far from it just being a way to get the kids out of the house for the entire summer, as far as practical skills and social skills are concerned, this gives your child the opportunity to stretch themselves. This could also work wonders if they have their own issues in school. As we all know, if we go through school with the same people, it can be difficult to break out of our social construct. So give them the chance to be a different person and to increase their confidence. A somewhat alternative approach to occupying our children. If we give them a task to complete each day, this isn’t just getting them out from under our feet, it can stretch them in so many different ways. For example, tasks that can help their self-esteem can be dished out on a daily basis. They don’t have to be incredibly complex tasks. But on https://www.whitbyschool.org/ there are some examples you could set. A basic task like preparing a meal or building a boat can develop their cognitive skills. It’s always in our interests to keep the children occupied. And these days, while children don’t tend to go out to play as much, but would rather stay indoors in front of the television, we’ve got to find a way to force them out from under our feet! Enjoyed this post? Don’t forget to join in the conversation on our Facebook! 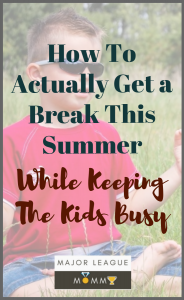 We would love for you to share some of your tips to bust summertime boredom in the kiddos without sacrificing your sanity. See you there!